Item # 314567 Stash Points: 5,195 (?) This is the number of points you get in The Zumiez Stash for purchasing this item. Stash points are redeemable for exclusive rewards only available to Zumiez Stash members. To redeem your points check out the rewards catalog on thestash.zumiez.com. 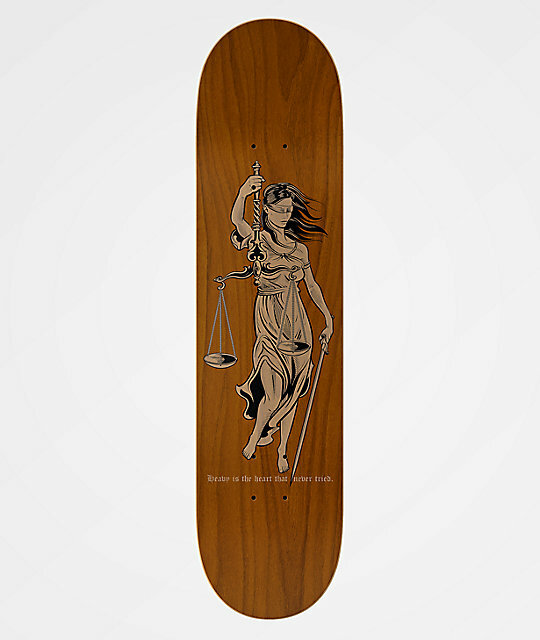 Become a vert legend with the Real Heavyweight Grey 8.5" Skateboard Deck. This wide constructed board features mid-range concave for flip tricks and better grip to your feet when vert riding, while wheel wells provide space for looser trucks or more vert, or street prone wheels. Finished with wide and steep kick tails for huge pop, stable vert stalls and controllable nose and tail slides, this deck is an ideal option for almost any riding style. 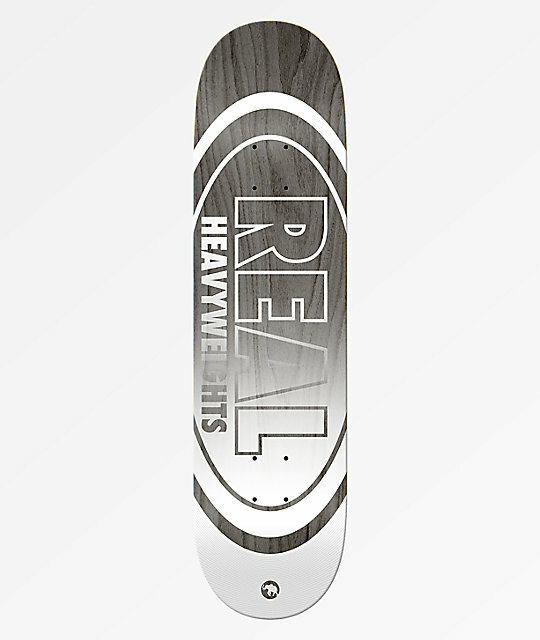 Heavyweight Grey 8.5" Skateboard Deck from Real. Medium concave and wheel wells.